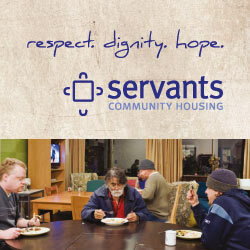 Servants Community Housing manages three rooming houses in Kew and Hawthorn. Our rooming houses offer single room accommodation only, with furniture and linen provided. You are expected to be independent and care for yourself and the facilities. Live-in Housekeepers provide oversight but are not trained medical staff and do not dispense medication. Each house includes breakfast 7 days a week and an evening meal 6 nights a week. Communal kitchens are available for you to cook your own lunches. Each house has a communal lounge with TV and Foxtel. Free internet is available. Our property in Hawthorn houses 29 people and has shared bathroom facilities. This property also has 8 self-contained units however vacancies in these units are very rare. One of our properties in Kew houses 24 people with 12 bathrooms. This is an alcohol-free house. Our other property in Kew houses 28 people and has individual en-suites (private bathrooms). There is some off street car parking available at each property. All are very well serviced with public transport. There is no smoking indoors at any house. Rental costs at each house is slightly different, depending on your income. Please contact us for further information (see below). We ask applicants to visit us in person, have a tour of one of the properties and then complete an application form. Completing an application form does not guarantee immediate housing. Each house is slightly different with limited vacancies and we will try and match you with the type of house you need.